Serials Solutions is working with the National Library of Sweden to index the Swedish National Bibliography in the Summon discovery service. With the inclusion of the Swedish National Bibliographic Database in the Summon index, researchers will now be able to discover references to books and materials published in Sweden alongside their library's other resources. Part of the LIBRIS national search service, the Swedish National Bibliography is a record of all book publication in Sweden, regardless of subject. With the objective to report all publications sold by book dealers and other printed documents of general interest, the Swedish National Bibliography contains more than books. 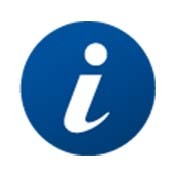 A resource of great interest to libraries in Sweden, it includes coverage of references to publications issued in Sweden beginning in 1976, and maps starting from 1986, so that researchers can discover periodicals, articles, maps, atlases, posters, printed music, electronic resources, newspapers, and more. Serials Solutions continues to fulfill its commitment to make the most comprehensive discovery service for researchers around the world with the addition of the Swedish National Bibliography to the Summon service. With an interface available in 32 languages and dialects, the Summon service makes global content discoverable by scholars worldwide. It applies native-language searching capabilities and language-tuned relevance ranking for 17 languages.